Commercial painting is one matter that many business owners will have to face at some point in time. There are many commercial painting companies offering their services, but the majority of them fail when it comes to fulfilling their original promises. This is why it is imperative for you to take careful measures when it comes to hiring a commercial painting company. We are pleased to announce that we have been providing exceptional service for many years. We are only concerned with providing quality service that will put a smile on your face. 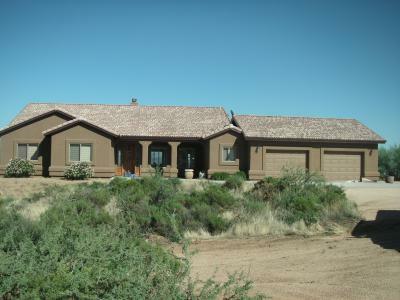 Let’s quickly go over several reasons why you should choose us for your commercial or house painting Tempe, AZ needs. We are well-known for offering affordable prices. Our prices make it easy for our clients to get a high-quality commercial paint job without compromising their financial budgets. This is one of the main reasons why we are highly endorsed by many consumer agencies in our area. You can expect to get a free written estimate after we inspect the proposed project carefully. We do not use any unethical tricks like our competitors. Our free estimates do not contain any hidden clauses that are designed to increase the price on your official invoice. We stand 100% behind our written estimates! We only use skilled painters for our projects. Our painters have hears of experience in commercial painting and house painting in Tempe, AZ. We offer our clients a variety of options. We will encourage you to choose an option that will compliment your taste and budget. Commercial painting is one issue that cannot be taken lightly. It is vital for you to hire a reputable commercial painting company when you are ready to give your building or home a new look. The four points above should convince you to give us a try.